The president’s speech at the Bishops’ Council will only exacerbate disagreements over the future of the Russian Orthodox Church between—and among—religious and secular Russians. The secular community feels he is drifting toward the church, while many in the religious community believe he is trying to establish government control over church activities. On December 1, Vladimir Putin addressed the Bishops’ Council of the Russian Orthodox Church in Moscow. His remarks on the Orthodox Church’s historical and contemporary value to Russian society illustrate his utilitarian view of the church as a conduit of the Kremlin tasked with maintaining “stability and unity.” Putin’s view is at odds with that of Patriarch Kirill, who criticized the state’s influence on the church in remarks delivered later that day. 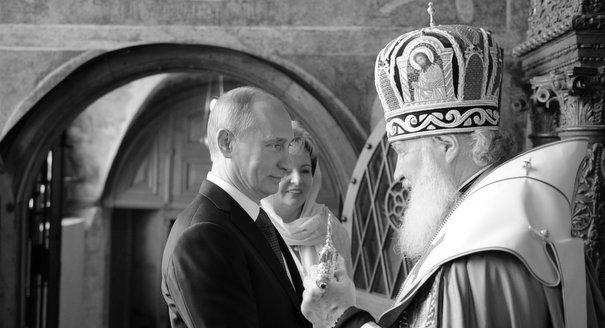 The differences in opinion between President Putin and Patriarch Kirill shed light on broader cleavages in Russian society over the future relationship between church and state, which the Kremlin fails to fully comprehend. The president’s speech was devoted to the church’s role in state affairs. In Putin’s view, the church has always been an ideological unit of sorts that “inspired people to constructive action and heroic deeds for the Fatherland.” The clergy must manage the church, and the church must help the state. Putin chronicled the Orthodox Church’s place throughout Russian history, recalling specifically its role during World War II, when Stalin granted the church certain freedoms to support the war effort. Throughout World War II, the state turned to the church for propaganda purposes in the fight against fascism. Additionally, some believed a softer stance on religion might facilitate negotiations with the allies. After the war, the church no longer spoke out against the Communist Party, and many priests collaborated with the security services. The Soviet authorities saw the church as a propaganda instrument, but considered its propaganda to be “bad.” Consequently, the state had to monitor church activities and occasionally use them for its own benefit in order to prevent civil unrest. Vladimir Putin takes a similar utilitarian view of the church, but for him the church is part of the “good” propaganda machine. Putin has a peculiar faith that blends religion and geopolitics in the tradition of Russian philosophers Ivan Ilyin, Lev Gumilev, and Nikolai Berdyaev. Putin thinks that Russia’s path is unique, and that Orthodox Christianity is one of its distinct elements. Throughout his speech, the president talked about the worldly, state-related utility of the Russian Orthodox Church. For him, the church is one of the government’s instruments. Soviet leaders spoke about art’s utility in similar terms—its primary goal was to educate, protect, and consolidate the people. That is now what the Russian regime believes the church should do. Such beliefs, however, are far removed from the tenets of Orthodox Christianity. A religious person puts their faith first in keeping with the biblical maxim: “Render to Caesar the things that are Caesar’s, and to God the things that are God’s.” For Vladimir Putin, the things that are God’s should also help Caesar. This view has historical origins: secular authorities oversaw the church in Imperial Russia, and the church was an integral part of the state at that time. However, the tone and message of Patriarch Kirill’s speech at the Bishops’ Council differed from President Putin’s. The patriarch criticized the state’s influence on the church throughout history. He recalled the memo that Prime Minister Sergei Witte submitted to Czar Nicholas II in 1904, which attributed the church’s loss of influence to state interference and, as a result, a lack of dialogue between church and society. The president talked about the church’s “independence,” while the patriarch thanked the regime for not limiting this independence as has been done in the past. However, despite the apparent civility, the speeches exposed disagreements between the two on the church’s role in modern Russia. 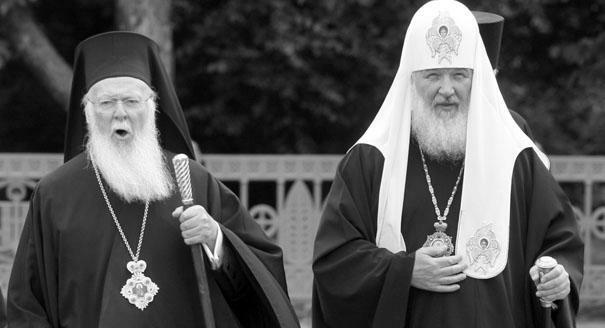 Relations between the two leaders have become tense since the Ukraine crisis, when Putin wanted the church to criticize Ukrainian authorities, but the patriarch and the Russian Orthodox Church sought to maintain good relations, bearing in mind that the Moscow Patriarchate manages numerous Orthodox churches in Ukraine. Some speculate that the Kremlin would like to replace Patriarch Kirill with a more pro-regime figure. One candidate might be Bishop Tikhon (Shevkunov), whom many believe to be Putin’s confessor. These rumors are likely false, but Tikhon is skillfully using them to underscore his closeness to the Kremlin. 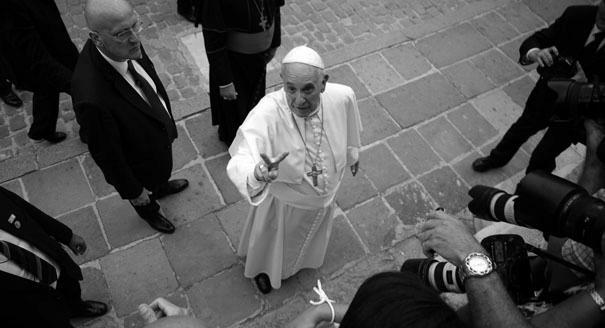 In religious circles, he is viewed as the “government patriarch,” which makes many believers and clergy uncomfortable. Neither Orthodox liberals nor radicals want the Russian Orthodox Church to become the Kremlin’s instrument of propaganda. The president’s speech at the Bishops’ Council will only exacerbate disagreements over the future of the Russian Orthodox Church between—and among—religious and secular Russians. Secular Russians are worried about the church’s encroachment on nonreligious aspects of life carried out under the pretext of strengthening the state. Now Putin has stoked people’s fears even more. The secular community feels he is drifting toward the church, while many in the religious community believe he is trying to establish government control over church activities. The president’s speech reveals that the Kremlin has a distorted view of the Russian Orthodox Church in particular and of the domestic situation in general.